Jill and her co-author, Lisa Markley, MS, RDN, have created a tour de force‑a work of art and a work of science. 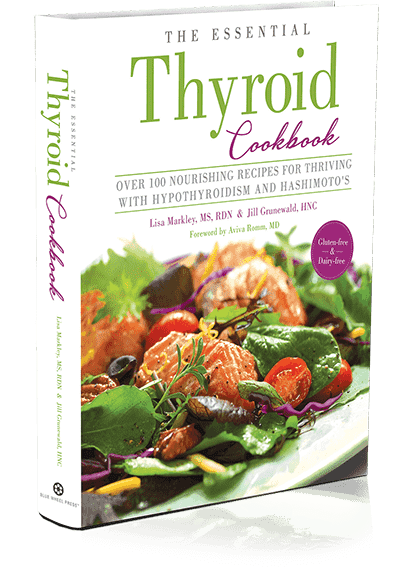 The Essential Thyroid Cookbook is masterfully written and will support you for a lifetime of peak thyroid function no matter where you currently are on your wellness journey. For anyone who has ever wanted to cook confidently for optimal thyroid and immune health, this is your guide. The Essential Thyroid Cookbook belongs on the shelf in every kitchen of anyone diagnosed with hypothyroidism or Hashimoto’s. Getting a handle on blood sugar is ground zero. If you’re on the blood sugar bungee cord, it will be difficult to manage your weight, tame inflammation, get a good night’s rest, slay your cravings, eliminate brain fog, improve digestive function, balance your energy, and see a healthier overall hormonal profile. You are what you eat and you feel what you eat. Jill’s Food and Mood ebook offers tasty tidbits on keeping your happy pistons firing with whole foods. Jill is featured in CRAVE Minneapolis/St. Paul, the ultimate guide to women-owned businesses in the Twin Cities, featuring more than 100 entrepreneurs you need to know. It’s all about quality products and thoughtful service. CRAVE Minneapolis/St. Paul is more than a guidebook. It’s a savvy, quality-of-lifestyle book devoted entirely to local businesses owned by women. Labeling on our foods, including nutritional facts panels, ingredient lists, and front-of-pack seals and symbols, are intended to inform consumers, enabling us to make conscientious choices. Yet confusion abounds, particularly when consumers don’t know what labels mean, assume they mean something they don’t, or worse, if the label is misleading. Let Jill show you how to be a savvy shopper. The glut of eco labels on food can breed confusion for many. These labels claim to be good for you and the environment, but how do you know if the products are delivering on their promises? How do you know when you’re being hoodwinked and when you can trust labels on food packaging? Is organic really the gold standard? Jill breaks it all down. Awareness of and interest in food issues is at an all time high. In a world where many don’t know where their food comes from or who grows it, we’re currently experiencing a “food moment” – not a passing “foodie” trend. Local foods is a hot topic, and in this audio, Jill will talk about the impacts of a local food system on our communities, our environment, and why locally-produced foods are more nutritious. We’ve all heard the idiom, you are what you eat. We also feel what we eat. 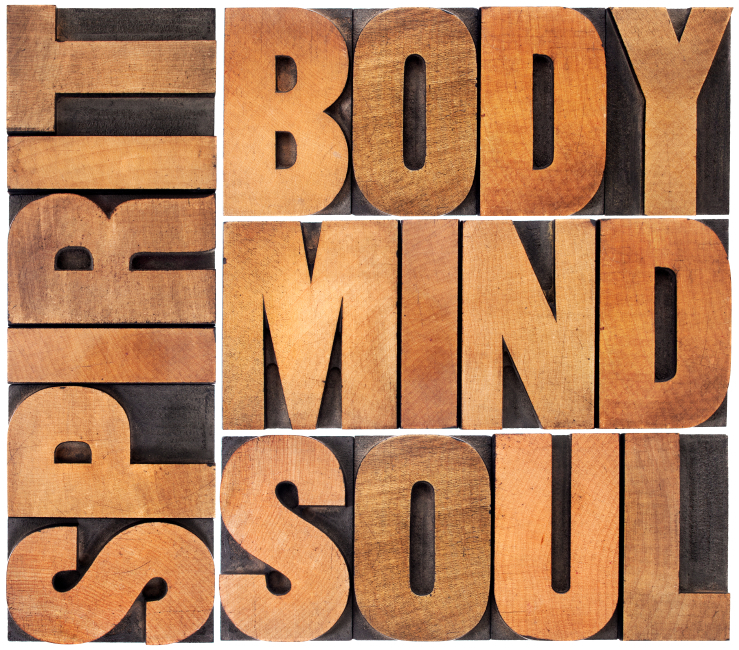 How we fuel our body has a profound impact on our emotional and mental health and how we think and feel. What we eat triggers chemical and physiological changes in our brain that can alter mood and the right nutrients can greatly influence outlook, stress levels, attitude, and emotions. Let Jill show you how to eat yourself happy. What is the difference between Celiac disease and gluten intolerance? Why are these conditions going undetected in so many cases? And why are they so much more prevalent today than 50 years ago? What are some of the symptoms? (They’re not all in the gut!) Jill answers all of these questions and discusses how to live a gluten free life. Carbs have gotten a bad rap. But a carb is not a carb is not a carb – and this can have profound implications for our health. Let Jill tell you what “bad carbs” can lead to inflammation and disease, and find out why the right carbs won’t make you gain weight, how they can have a positive impact on your mood, and why they are essential to a balanced, healthful diet. I was diagnosed with Graves’ disease and about 8 weeks into Jill’s program, I began having symptoms of HYPOthyroidism—because my thyroid levels were returning to normal!